The Young and the Restless spoilers has some sad news to pass on. 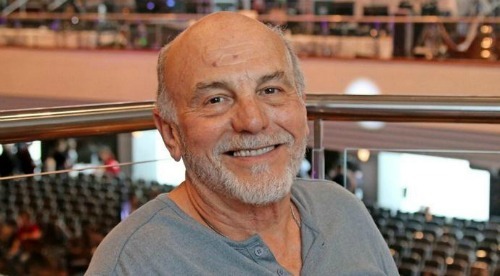 Former Y&R and Days of Our Lives (DOOL) star Carmen Argenziano has passed away at the age of 75. Carmen died on Sunday, February 10, 2019. Carmen was a veteran actor who appeared in numerous movies and television series. His movies include Don Quixote, The Godfather Part II, The Accused, and Stand And Deliver. Carmen was also a well-known television character actor for over 40 years, appearing on Columbo, Cheers, Melrose Place, ER, House, CSI:NY, and many others. He was perhaps best known for his role as General Jacob Carter on the TV series Stargate SG-1. He appeared on Stargate for seven years, from 1998-2005. As for his soap roles, Carmen appeared on both Y&R and Days of Our Lives. In 2008-2009, he portrayed district attorney Dennis Ellroy on Y&R, and in 2001 he portrayed a hitman hired to kill several Salem residents at Greta Von Amberg’s (Julianne Morris) coronation ceremony on DOOL. It appears that Carmen worked up until the time of his death. According to IMDb, he acted in several projects that are in post-production, including The Elephant Ride, Fate’s Shadow, and Preacher Six. Carmen is survived by his wife Lisa and his three children. His cause of death has not been released. Our sincerest condolences go out to Carmen’s family at this time. Stay tuned to the CBS soap and don’t forget to check CDL often for the latest Young and the Restless spoilers, updates, and news. The Young and the Restless Spoilers: Blackmailer Truth Finally Exposed – Tessa Not Guilty, Just a Giant Red Herring?